The Lenovo A7700 is the latest member of the Lenovo A series of smartphones and was launched alongside the Lenovo A6600 and A6600 Plus some days ago. The Lenovo A7700 is the largest of the three smartphones launched, and some of its features like the 2GB RAM and dual speakers with super Waves MaxxAudio will excite smartphone lovers at its price range. 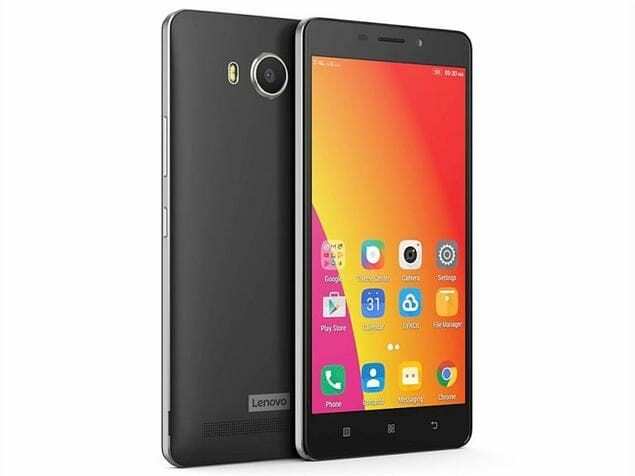 The Lenovo A7700 comes with a 5.5-inch LCD display which uses In-plane Switching (IPS) screen technology to provide good display quality at wide viewing angles. The display on the Lenovo A7700 has an HD (1280 * 720) pixel resolution which offers good picture representation and screen display quality. The design of the phone is similar to that of the A6600 and A6600 Plus, and it also possesses shiny bezels. The Lenovo A7700 is powered by the same 64-bit MediaTek MT6735P processor that powers the other two phones in the series. The processor has a speed of 1GHz and is assisted by a Mali-T720 GPU which handles the graphics operations on the phone. The Lenovo A7700 comes with 2GB of RAM capacity gives the processor enough space to perform its operations. The internal storage capacity of the phone is 16GB which allows you to store a large number of files, and if it’s not enough can be expanded via the micro SD card slot that is present in the phone. The Lenovo A7700 comes with a dual-SIM slot which gives it 4G LTE support with the ability to make calls over the fast LTE network (VoLTE). Wireless connectivity is available via the Wi-Fi 802.11 b/g/n bands and is further enhanced with new generation Bluetooth 4.0 LE. The phone also comes with GPS which allows for location determination and navigation. The Lenovo A7700 possesses an 8MP camera unit at the rear which has auto focus for fast capturing of images and is accompanied by dual LED flash for visibility in low-light conditions. At the front of the top bezel of the smartphone is a 2MP camera which can be used to take selfies. One notable hardware feature that makes the Lenovo A7700 stand out in the series is its dual rear speakers. They provide you with amazing sound quantity (high volume) and quality with MaxxAudio suite of advanced audio enhancement tools from Waves. On the software side, the Lenovo A7700 runs Android 6.0 Marshmallow out of the box, upon which Vibe UI is layered. Talking about Vibe UI reminds me of Cisco in The Flash , that badass scientist that possessed vibing powers and hence nicknamed himself Vibe. For those that followed the series as closely as I did, you would know of the amazing things Cisco could do with his vibing powers; so also are the amazing things that the Lenovo A7700 with the Vibe UI :). 5.5-inch HD IPS display with apixel resolution of 1280 * 720. Dimensions – 152 * 76.2 * 8.5 mm. 16GB internal memory, expandable with a microSD card. 8MP Rear Camera with dual LED Flash and Autofocus. Dual rear speakers with Waves MaxxAudio. The Lenovo A7700 would be made available from the end of September and would come in Matte Black and Matte White colour variants. The Lenovo A7700 would cost Rs. 8,540 in India, N40,500 in Nigeria and KES 12,936 in Kenya.